I have a few trips lined up in the months ahead, and I am - for the first time - carefully mulling over a couple of options in terms of travel insurance policies. Travel insurance always seems to me like sunk cost for a sense of reassurance for that few days of being away from home. Buying one still goes without saying though, because I don't want to be caught in unfamiliar territory or without a safety net if, for instance, my flight is cancelled or if my luggage gets lost. I just tend not to give these policies much thought. This mindset is probably because I've not yet experienced the need to activate any travel policy I bought so far, quite fortunately. The closest was about a year ago, when I nearly missed a connecting flight from Stockholm to Singapore due to a huge delay with the first. Thankfully I made the flight back home, though not before hopping on and off specially arranged buses and sprinting through the airport to get to the plane, and then walking past angry glares from passengers who were all buckled up and ready to go, to get to my seat. But back to the point I was trying to make: Having a good travel insurance is important, especially given the volatile world we live in today. These days, it seems, beyond just flight changes and missing bags, the bigger and more significant worry relates to terrorism and terror attacks. Indeed, this threat has always been there, but it has gathered pace in recent years, and today, it is magnified, dangerously rampant, and all too real. In August, a man ploughed a van into the crowds on Barcelona's busy Las Ramblas boulevard in the afternoon, killing 14 people. France has seen a spate of attacks in recent years, including the simultaneous attacks in 2015 across various entertainment locations in Paris - a concert hall, a major stadium, restaurants and bars - that left 130 people dead. Closer to home, ISIS-affiliated militants launched a bomb and gun attack in the heart of Jakarta near the Sarinah shopping mall in January last year, leaving eight people dead, including the four assailants, and 23 wounded. Cities around the world and their people are held hostage to constant uncertainty. Anything can happen anywhere, and to anyone - which is why safety is the one thing I feel I cannot take for granted. So I have come to the realisation that one way of being prepared is to make sure that I get good travel coverage. It is probably true that travel insurance can only do so much, but for whatever is still within my control, why not? Most people in Singapore do understand the importance of getting travel insurance, be it in view of the terrorism threat or otherwise. Demand for travel insurance has doubled or tripled over the last five years, according to financial adviser Viviena Chin, who is chief executive of Eternal Financial Advisory. SingCapital chief executive Alfred Chia agrees that most travellers are well aware of the need for insurance when they head out of the country. "The difference in premiums (between different types of coverage) may not be much but the protection can be exponential. It is important to focus on 'value for money' than just price, when it may not offer the necessary protection," says Mr Chia. "With rising threats of terrorism, it is important to equip yourself with the right policy. And you can only do that by comparing policies and asking the right questions on the coverage. "When selecting insurance, it is important not to be penny-wise and pound-foolish." Mr Chia goes on to add that most travel insurance policies would generally cover terrorism, including incidents like 9/11. But the extent of the coverage is likely to differ from policy to policy. "Most terrorism coverage may not include nuclear, biological and chemical attacks, such as the Tokyo subway attack in 1995, which involved the use of sarin, a nerve gas," he says. "Any insurer that offers such coverage would be deemed to be offering 'full terrorism cover', like Sompo. Even then, such coverage is only found in the higher-limit plans." 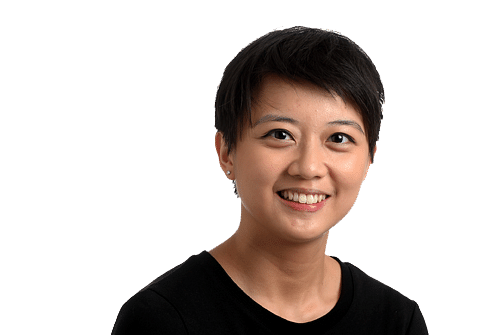 Ms Chin's advice is to look at the wording in travel insurance policies carefully, and pay attention to the benefits, and the terms and conditions as to whether they offer full or partial terrorism coverage, or if they exclude it completely. Other details should include the maximum amount payable, and the 24-hour emergency hotline number to call when overseas. "Also look out for what is not covered to prevent your claim from being rejected," she adds. Terrorism or not, Ms Chin stresses that it is important to have travel insurance ready before one goes overseas. "This is to ease the inconvenience should an unfortunate event happen," she says. "The medical expenses incurred overseas may be high, not to mention emergency medical evacuation and repatriation costs. These are all unexpected costs, and it will definitely help when travellers plan well and put travel insurance as part of their travelling checklist. It will give them peace of mind." Ms Chin adds: "Buy your travel insurance early or once your travel itinerary is confirmed and don't do it last minute - for example after you depart - because you would need to purchase the policy before the trip commences, not during it!" I opted for a mid-tier travel insurance policy for an upcoming trip to Australia. It offered double the payout for accidental death and permanent disablement and an additional $200,000 for medical expenses incurred overseas compared with the cheapest option, which apply, among other benefits, if they occur as the result of an act of terrorism. But the fine print also stated that the policy does not cover terrorism acts involving biological, chemical agents, or nuclear devices. I'm not quite there yet in terms of being fully willing or able to fork out a premium for travel insurance that comes with full terrorism coverage (because of... price!) but I guess being more conscious of what exactly I am buying is a good start.